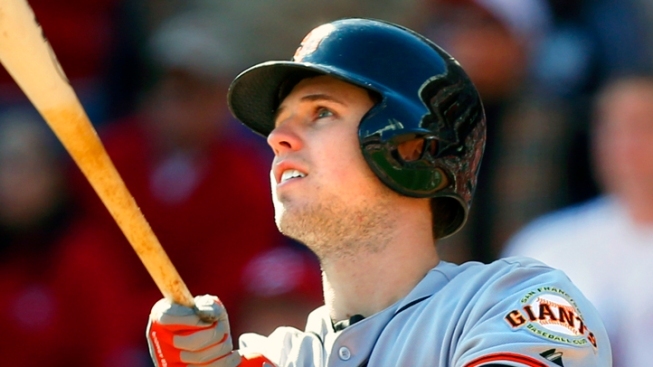 A year after setting a National League record by receiving more than 7.5 million All-Star votes, San Francisco Giants catcher Buster Posey is at it again. The reigning league MVP has nearly 1.3 million votes and leads all NL players after the first round of voting for this year’s game. Buster isn't the only Giant on the list. The Panda is doing pretty well, too. Pablo Sandoval leads all third baseman with over one million votes so far. Online voting is open until July 4. This year’s game takes place on July 16 at Citi Field in New York.